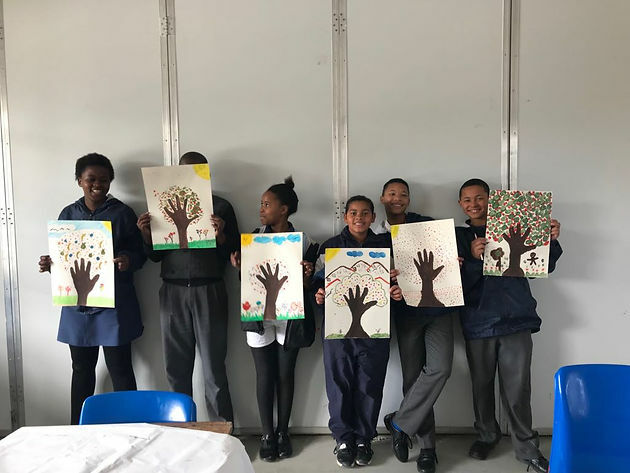 Over the past few weeks we have collaborated with Die Bron Primary school in Stanford, local artists and the Grootbos foundation in facilitating art sessions for the learners at die Bron. The project started with the schools desire to participate at the regional visual arts celebration. 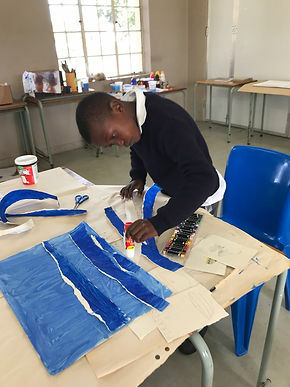 The Western Cape education department is having a visual arts celebration for all the schools in the district with the children’s works being exhibited at several venues all around the Western Cape. This is a great opportunity for Die Bron to showcase their children’s talent at a wider platform. We had Stanford artist Ntando Sebelele, Tracy Algar, Beatrice Pook as well as Regina Broenner/OT facilitating sessions for 48 learners of all grades. The artists have spent focussed hours with small groups of young artists identified by the school. The aim of this facilitation is to support Die Bron Primary in her efforts to offer a rich and diverse curriculum bringing specialists in their field (artists) to expose the children to self expression through art making and skills development through art techniques. 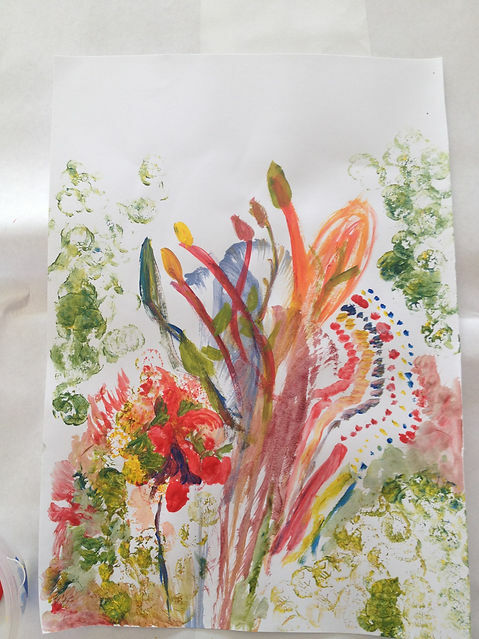 Thank all the wonderful children and staff at Die Bron for their commitment towards developing creativity and self expression, Thank you to the artists and a BIG thank you to The Grootbos foundation for supporting this facilitation. We also would like to announce that Delvino Kapot won a medal for his outstanding and most beautiful artwork. Please visit the exhibition from 7 to the 30 of September at the Caledon museum. The visual arts team would like to continue to offer art sessions for all Stanford children and develop an extra mural arts program in the Stanford community. Please contact us if you are interested to support this initiative.